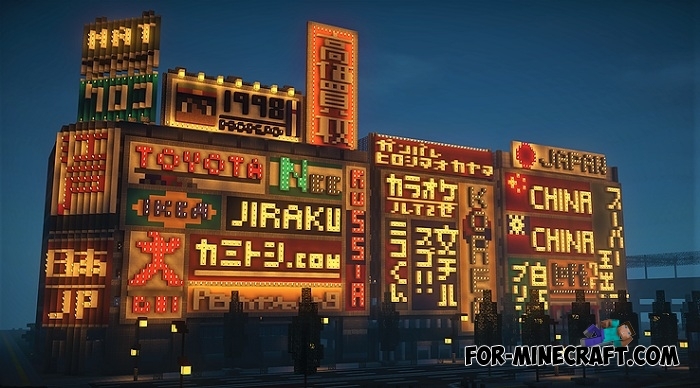 Kyokei City is one of the first true Japanese cities ever created in Minecraft. 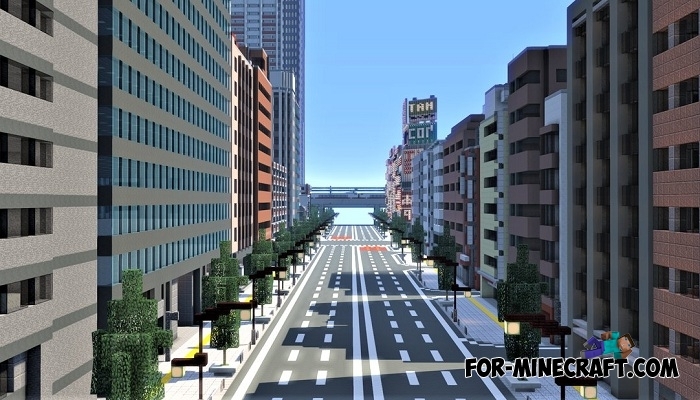 This is a very interesting city from the point of view of tourism and if you have never been to Japan and would like to go there, then start your journey with this map. All the attributes of an Asian city were observed: Japanese characters, dense buildings where the houses are located close to each other and the predominance of white. 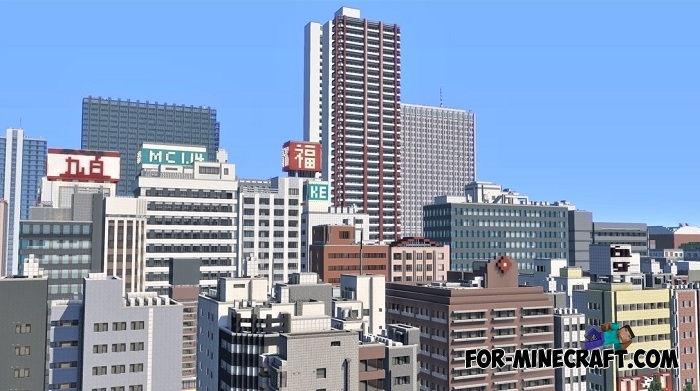 If you do not want to move around the city on your feet, do not deny yourself the pleasure to download a vehicle addon for MCBE. Any of the presented cars will cope well with the task of fast and comfortable driving: Lamborghini or McLaren or any other on our site. Asia is another world that is very interesting for discovery, especially for Japan. Be sure to visit this magical country and see for yourself.